Cnet reports that Microsoft Twitter expert WalkingCat, via Windows Latest, has uncovered details about the rumoured lower-cost Surface tablet that Microsoft is thought to be planning to launch this year. Scheduled for release in the second half of 2018, the new Surface is said by WalkingCat to be codenamed Lex, with a separate codename of Gibs for its keyboard cover. Back in mid-May Bloomberg reported on the rumoured lower-cost Surface tablet, stating that it would be smaller and lighter than the current Surface Pro, and would have LTE connectivity and a USB-C port, which would mark the first time that a Surface device has had a USB-C port. Pocket-lint reports today on newly leaked Qualcomm documents that have just been published by German website Winfuture.de, which show that Dell is now working on what Pocket-lint refers to as a “Surface Phone” powered by a new Qualcomm Snapdragon 850 processor running on Windows 10 on ARM. The new device, which Pocket-lint thinks is the Surface Phone, is codenamed Januss, and is thought to have three screens in total, two on the inside of the folding body and one on the outside, meaning that the phone can still be used when closed. The source says that the format is not yet confirmed or locked down, so could still be changed by Microsoft prior to launch. Winfuture states with conviction that this new device will be powered by Qualcomm’s Snapdragon 850 processor, which is more likely to be an upgraded Snapdragon 845 with increased 3.0GHz running speed than a totally new processor. Are These the First Images of an “Andromeda OS” Folding Surface Tablet Game? 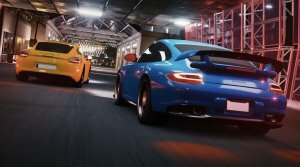 Windows Central has posted images of a free-to-play racing game called Miami Street that is billed as being for “all” Windows 10 devices. After investigating the app package metadata, Windows Central has found information that the game is not just for Windows PC, but also for the “Andromeda OS,” which is thought to be the operating system of the much-rumoured “Andromeda” folding Surface tablet. TechRadar reports that some owners of Microsoft Surface products are having problems with their devices after they’ve updated to the April Windows update. For example, some of last year’s Surface Pro models are freezing after the update has been installed. The reason for this is apparently because the Intel SSD6 drive is incompatible with the update. The all-in-one Surface Studio PC is also having issues in some instances, with numerous people on Microsoft’s official Community forums reporting that their device’s mouse and keyboard are disconnecting after the update. Microsoft has today showed just how committed it is to its aim to “enable and empower even more Xbox One and Windows 10 gamers across the globe” with the announcement of its new Xbox Adaptive Controller for Xbox and Windows 10 gaming. The new controller was developed by Microsoft in partnership with organisations from all over the world, including The AbleGamers Charity, The Cerebral Palsy Foundation, Craig Hospital, SpecialEffect, and Warfighter Engaged. Spencer says that Microsoft also worked closely with gamers with limited mobility. Microsoft’s chief product officer Panos Panay has taken to the official Windows Blog to announce Surface Hub 2. Touch ausschlaten bei nutzung vom stift?